Alzheimer’s disease and dementia are conditions which worsen as time goes on. As a caregiver, it is important to know when to seek care for a loved one who suffers from one of these conditions. Watch for the signs below which can let you know when it’s time to get help. 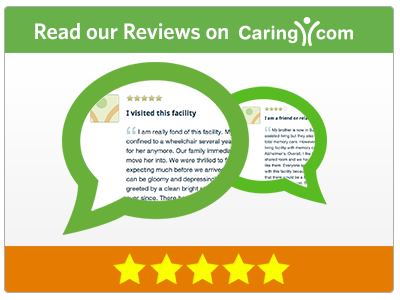 The feedback you hear from family and friends on the outside can be valuable to a caregiver. They will be able to observe your loved one from a different viewpoint than you, which can provide you with priceless input. Listen to their comments regarding changes in behaviors, how they view your loved one’s thought process, and the content of conversations with your loved one. Worsening forgetfulness, disorientation, memory, confusion and repetitive speech can all be signs your loved one is in need of additional assistance. Depression and anxiety frequently occur in patients who suffer from Alzheimer’s and dementia. These and other mood disorders can lead to isolation, loss of appetite, changing sleep patterns, lack of interest, and increased agitation. These are all signs that your loved one’s mental health may be deteriorating. Your loved one may require intervention more often, or may seem to be suffering from constant emotional distress. When this occurs, you as the caregiver and your loved one will experience a diminished quality of life. Enlisting the help of professionals can provide the support you need to improve quality of life for yourself and your loved one. If your loved one is having more and more trouble completely daily life activities, they are likely in need of more help; this may mean you need the support of an additional caregiver, as it is important for you as a caregiver to not become overwhelmed, and to have time for your own life. Changes in household upkeep are one sign that your loved one is having difficulties managing their daily routine. They may also be forgetting to take necessary medications on schedule, and may require help with managing their medication schedule.